"We are not in it to make money. We're probably not going to lose a lot but we aren't going to make much either." 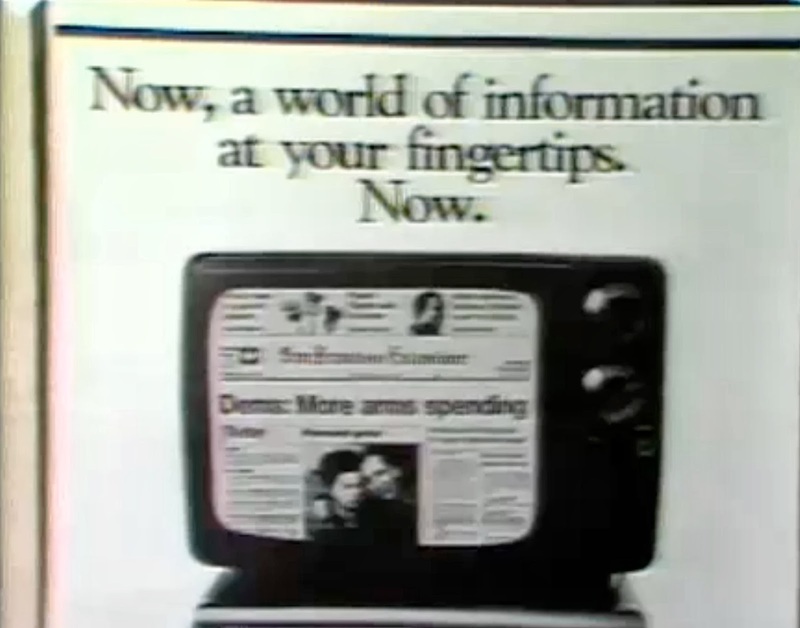 "The electronic newspaper is not as spiffy looking as the adverts imply …"
"Engineers now predict the day will come when we get all our newspapers and magazines by home computer but that's a few years on." "It takes over two hours to receive the entire text of a newspaper over the phone and with a hourly use charge of $5 the new tele-paper won't be much competition for the 20 cent street edition." Take two minutes to watch it here … it's a real gem. Hat tip to http://www.wimp.com and Nick Jenkins for bringing it to my attention.